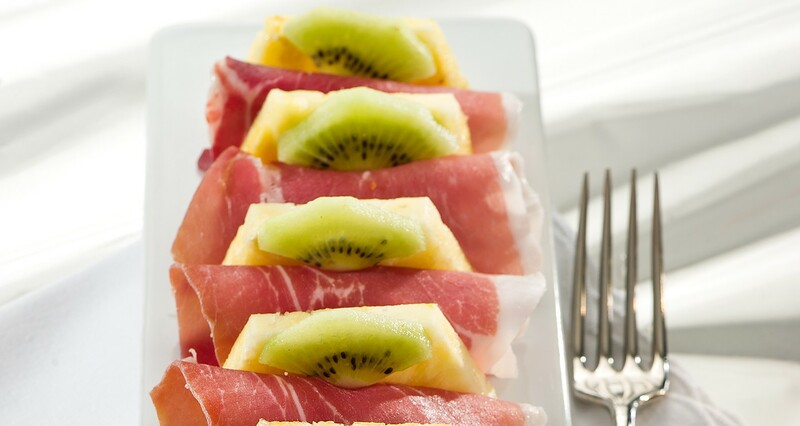 Cut the kiwi and the pineapple into thin slices. 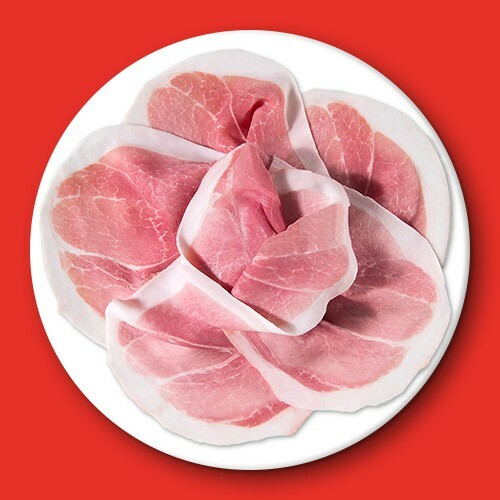 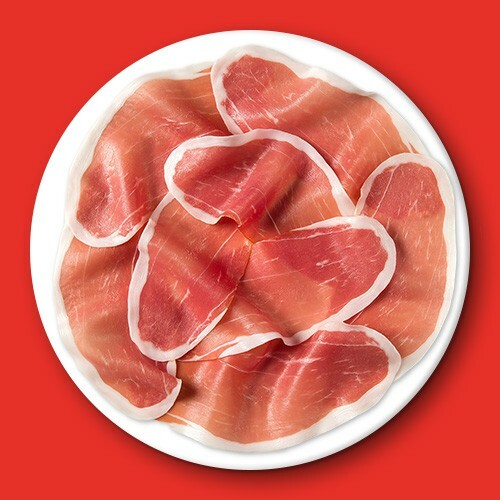 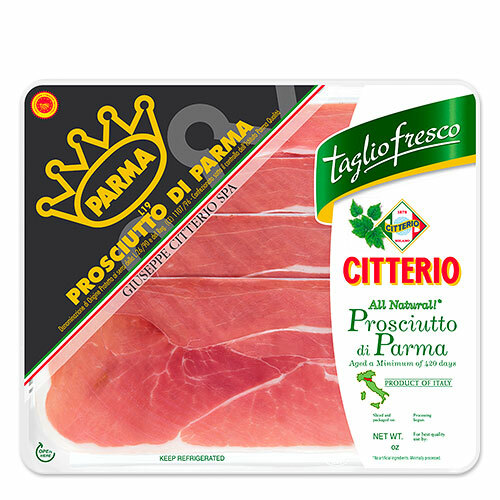 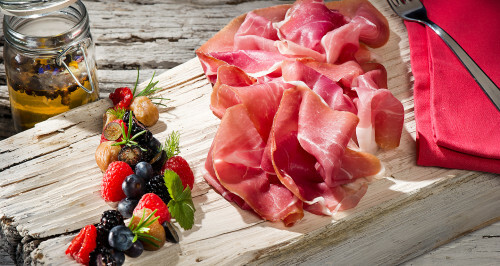 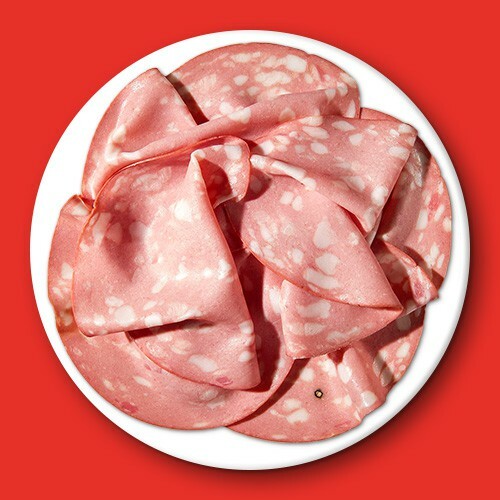 Alternate them in a tray with the slices of Parma ham. 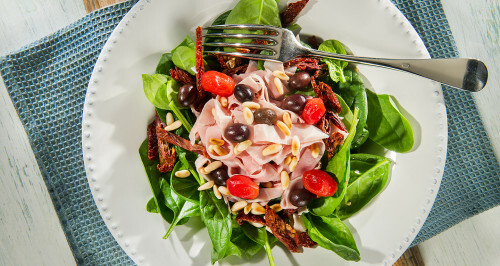 Enjoy this light and healthy dish!